If you are interested in becoming a MAPECU Dealer, please contact us. Please contact one of our MAPECU Distributing Dealers below for an up to date list of their Local and International Dealers and Tuners. MAPECU is in expansion mode and we are looking to expand our worldwide distribution and dealer networks. If you are currently a WD (Warehouse Distributor), Distributor or Jobber looking to capitalize on the quality, performance and uniqueness of the MAPECU product line, let us know today! 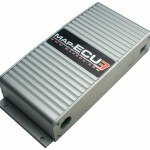 We believe the MAPECU piggyback ECU’s provide the best balance of everyday drivability, additional features and tuning exactly matched to your vehicle. This includes working with the latest direct injection, OBDII, CAN and variable valve timing OEM ECU’s. And if you need to put your vehicle back to it’s stock configuration, just remove the MAPECU. The OEM dealer will never know you modified your vehicle and there is no tell-tail reflashed program in the OEM ECU. We are very excited to be the first piggyback ECU in the market with Flex Fuel, WiFi and iPhone App which allows you to monitor your vehicle’s vital functional through a customizable dashboard. We call our App iMAP-CAL and you can find more details on our products page or search the Appstore for iMAP-CAL.